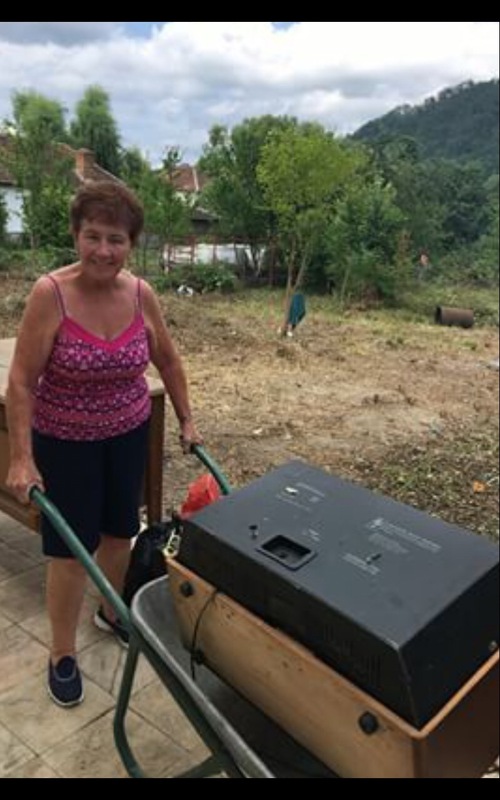 Our very on team member from Leabank Nursing Home, Ballycastle embarked on a trip to Romania to help restore the buildings and community for those in need. The Smile Foundation is a charity with vision, commitment and a determination to make a difference for those in Romania who need a helping hand. Our very own Maureen Nolan who works at Leabank Ballycastle joined up with The Smile Foundation to help put a smile back on the faces of those living in poverty. Maureen began her trip just a few weeks back fully equipped with toys and treats for the wonderful children and also fully equipped with plenty of energy, strength and happiness to put into the redevelopment of the Dezna Outreach Centre and the community. Maureen and her team were greeted and welcomed as part of the family by the community of Denza and got ready to start work. Bedrooms, walls, roofs and communal areas were restored to full health. Not only were material structures restored, but the spirits and smiles of the local community were restored. Maureen said “I’ve just finished a great week of mission in Romania with The Smiles Foundation. It’s fantastic to see what they are doing for the community and the future plans for Denza Outreach Centre. An organisation well worth supporting -I’m feeling very accomplished”.